McNamara Financial Services, located in Marshfield, Massachusetts, has been serving clients on the South Shore since 1987. The company was founded by Michael J. McNamara, and is now co-owned by Mike and his son and daughter, Justin J. McNamara and Alyssa McNamara Reed. 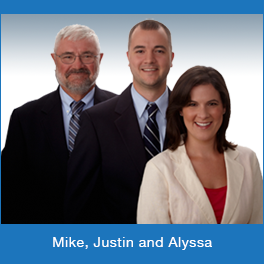 In 2011 Justin moved to Westford, Massachusetts, and McNamara Financial Services has since opened an office in Chelmsford, Massachusetts to serve the local community. McNamara Financial Services, Inc. markets its services under the Kinship Advisors service mark because the McNamara Financial name, thanks to its nearly 30 years in business serving the South Shore and 20+ years on local radio, is very much a South Shore brand with a South Shore focus. The Kinship name and website allow us to communicate to our clients and prospective clients that we are a local business in the Merrimack Valley. Please visit the McNamara Financial website at www.McNamaraFinancial.com for more information.